Former first lady Michelle Obama is facing accusations of pushing "racist" literature onto children by Twitter users after a school librarian rejected a donation of books from first lady Melania Trump and wrote a blog criticizing her literary choices. Trump got heat Friday after Massachusetts school librarian Liz Phipps Soeiro declined several Dr. Seuss books donated by the first lady, claiming the material was "cliché" and based on "racist propaganda." Now many online are jumping to Trump's defense by posting older photos of Michelle Obama reading children excerpts from Dr. Seuss books, arguing that the books weren't considered "racist" until President Trump was sworn into office. Dr. Seuss ok when Michelle Obama read it to children but now has racist undertones when our First Lady donates books? Unreal," one user wrote, while another posted: "Amazing... the same books Michelle Obama read to children, are now racist books because Trump is President." Amazing... the same books Michelle Obama read to children, are now racist books because Trump is President. @RealJamesWoods Amazing... the same books Michelle Obama read to children, are now racist books because Trump is President. Racist @realDonaldTrump just called Puerto Rico "just a territory." This is not an exaggeration. That is what he just called US citizens. @washingtonpost It wasn't racist when Michelle Obama read from the same books or when the librarian held Dr. Suess parties. Fire her now!! Later on Friday, the first lady fired back at the librarian who rejected her donation, with her director of communications calling Soeiro's response "unfortunate," according to FOX News. "She has demonstrated this in both actions and words since her husband took office, and sending books to children across the country is but one example," Trump's spokeswoman told the outlet. 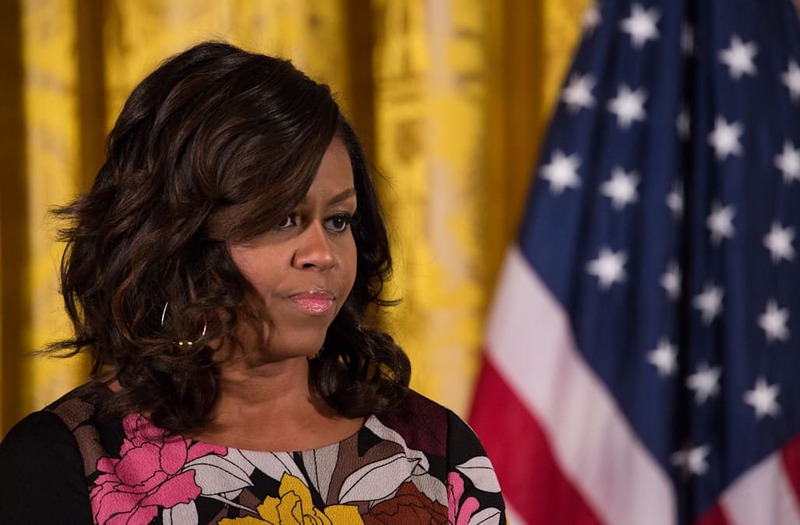 "To turn the gesture of sending young students some books into something divisive is unfortunate, but the First Lady remains committed to her efforts on behalf of children everywhere."